If you have something you can only do once in a blue moon, tonight’s the time to do it because it is the night of the blue moon. 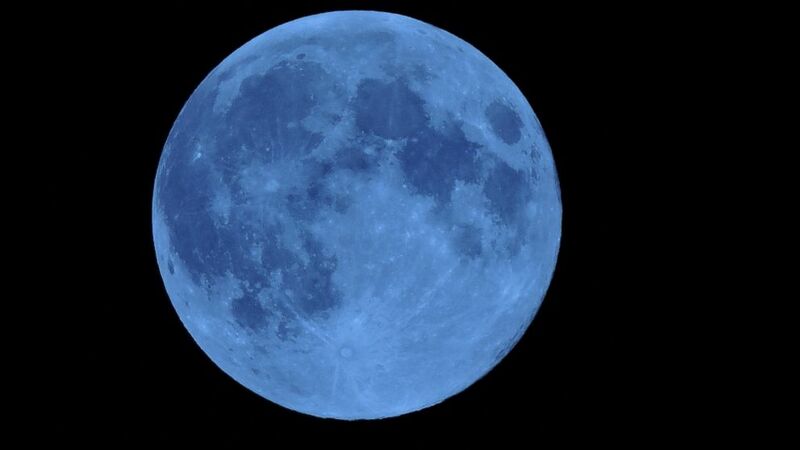 Now, the moon won’t actually be blue; it is just that it is the second full moon this month which is a rare occurrence. So don’t strain your eyes looking for a blue hue, just enjoy the extra full moon lighting up the universe…a celestial phenomenon. You may want to click on the following link and enjoy Frank Sinatra’s rendition of the song “Blue Moon” as you gaze heavenward. Enjoy. This entry was tagged blue moon, celestial, Frank Sinatra, phenomenon, Song, universe. Bookmark the permalink.